Spacious Beachfront cottage offers 4 bedrooms, 2 baths. split bedroom arrangement has two bedrooms and connecting bath on each side of living area. Open living/dining/kitchen floor plan. 2-car carport, spacious screen porch. PETS WELCOME YEAR ROUND. $150.00 PET FEE REQUIRED. 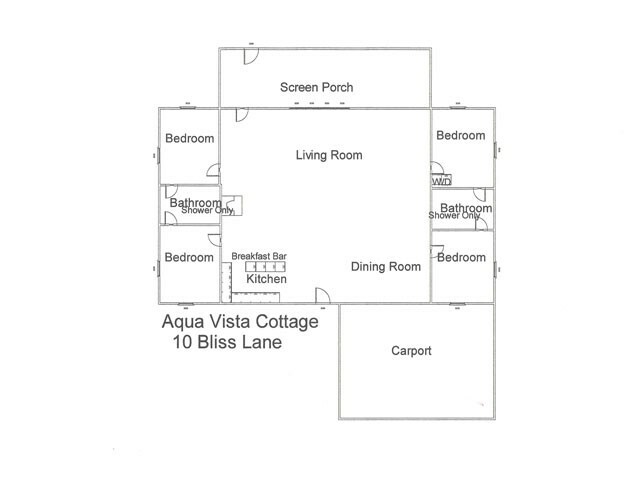 Please contact me with information regarding Aqua Vista II.